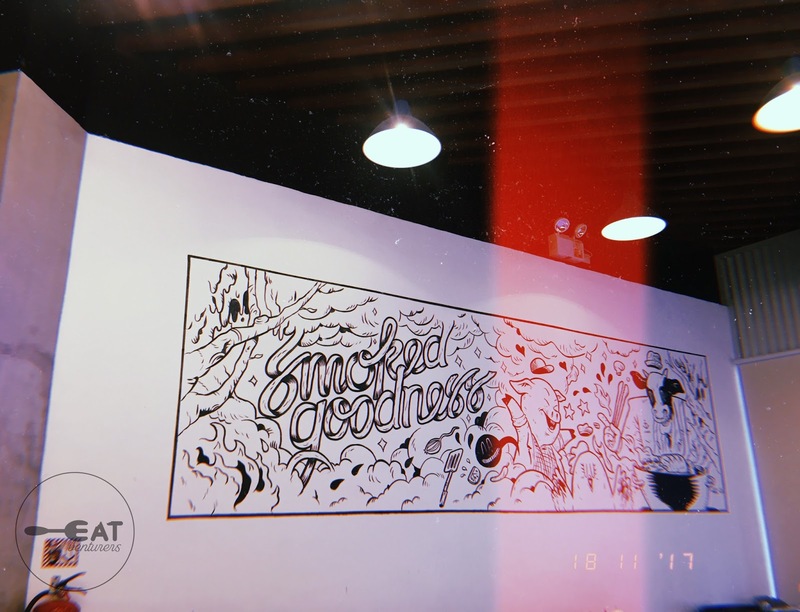 “Smoked goodness” is what this restaurant called “Fat Daddy’s Smokehouse” does best. 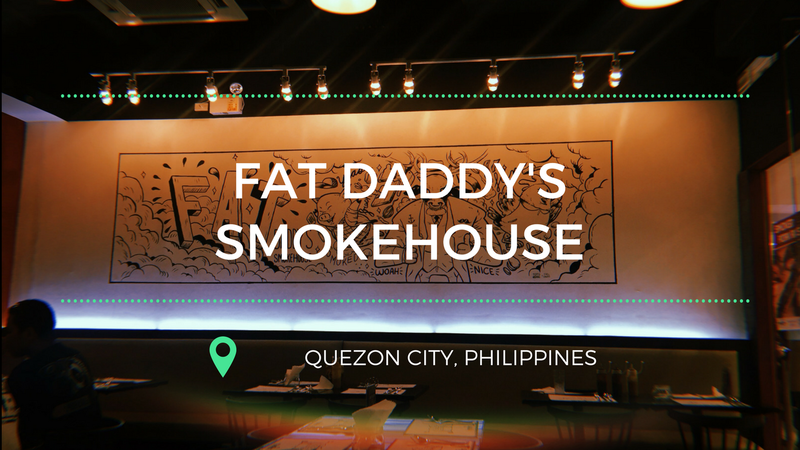 Fat Daddy’s Smokehouse, which can be found in UP Town Center, Katipunan, offers quality smoked meat. 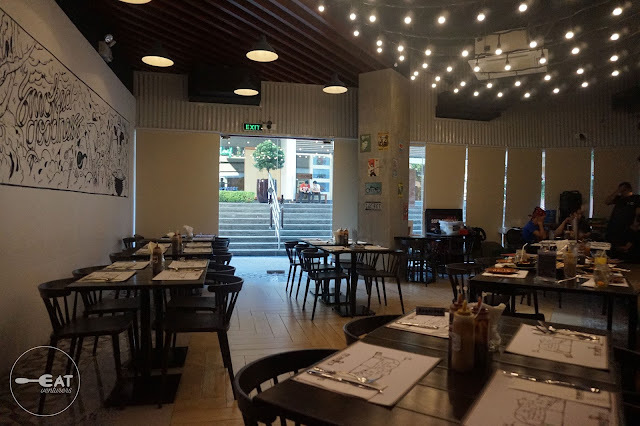 It is a concept restaurant by siblings Josh, Fresh, Jasper and Darlene Verzosa, the family also behind Tagaytay-famed Josiah’s catering. Before branching out to the heart of Quezon City in UP Town Center, Fat Daddy’s started in the Verzosa’s backyard in Marikina. That flagship restaurant is currently being renovated. 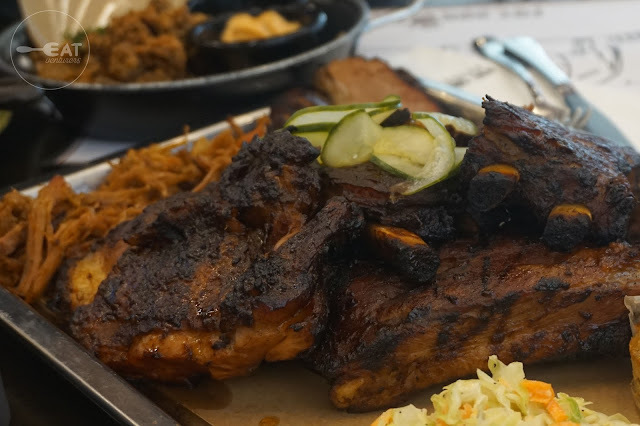 In the menu introduction, the siblings said they used to travel in the southern part of the United States and were inspired to bring the unique deeply American style of barbeque back in Manila. They said it took them a while before they perfected the recipe they have been dreaming. Fat Daddy’s offers a wide array of affordable and dishes that are good for sharing. 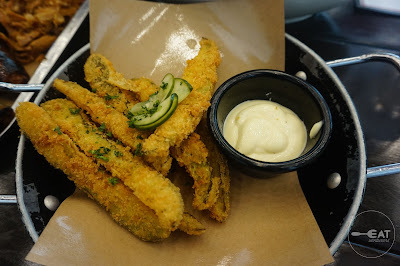 For starters, we tried Fat Daddy’s Crispy Fried Pickles (P185) and Buttermilk Fried Livers (P210). The crispy fried pickles are deep fried sliced dill pickles coated into panko and corn crust, served with a sauce, we’re guessing, tartar. We feel like the sauce isn’t necessary as the pickles alone give that sweet and sour taste that goes well with the breading. 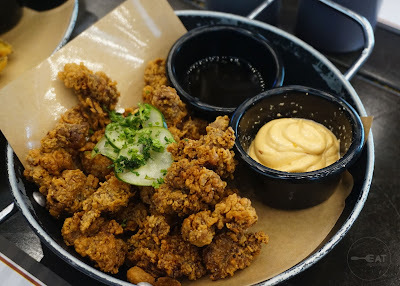 Although we are not “liver-lovers,” we loved Fat Daddy’s Buttermilk Fried Livers. Surprisingly, the dish does not have that bitter taste. Buttermilk Fried Livers is definitely a must-try! It was described as deep-fried chicken livers marinated in buttermilk, coated with homemade barbeque rub and served with pied-mont sauce and Alabama barbecue sauce. We actually thought the former was a regular soy-vinegar but it does go well with the chicken livers. Fat Daddy’s boasts traditional smoked ribs, perfectly smoked from six to 12 hours, so of course, we did not miss trying out their Smoked Meat Platter worth P2,400. 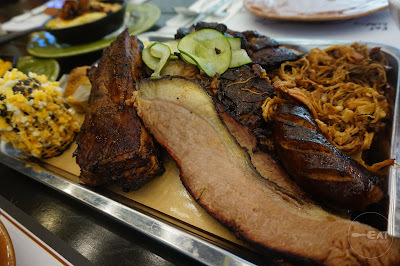 This platter carries all kinds of Fat Daddy’s best-selling smoked meat – chicken BBQ, beef brisket, pork ribs, hot links (homemade sausage), and pulled pork shoulder. It also has Chiquito’s Grilled Corn, Bacon and Chives Muffin, Sesame Coleslaw and four servings of plain rice. 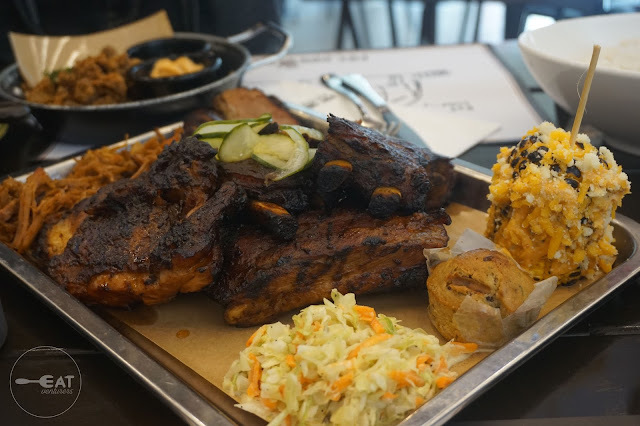 The servers said the platter is good for only four people but we beg to disagree. We’d estimate that it can be devoured by four to six people. From the platter, our favorite was the chicken bbq because it was so tender and well-marinated. Other meats were also juicy and tender but the chicken was the one with a distinct taste. We also found the Bacon and Chives muffin interesting because of its content but it tastes like your regular muffin. The Chiquito’s Grilled Corn was also good as it was slathered with chipotle mayo and elote cheese and it was not salty as expected. You can pour in Fat Daddy’s homemade barbecue sauces (spicy and regular) and mustard for more oomph. 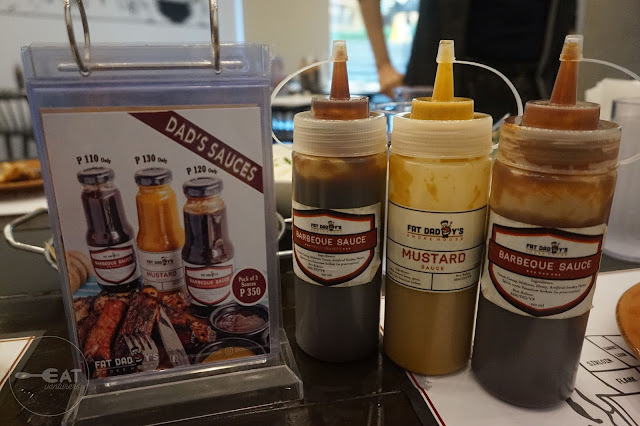 They also sell it in bottles for around P120 and P350 for pack of three sauces. Spice rub is also being offered per pack at P100. Really good sauces, we promise! For sides, we ordered Mac and Cheese (P170) and Hot Mess (P170). 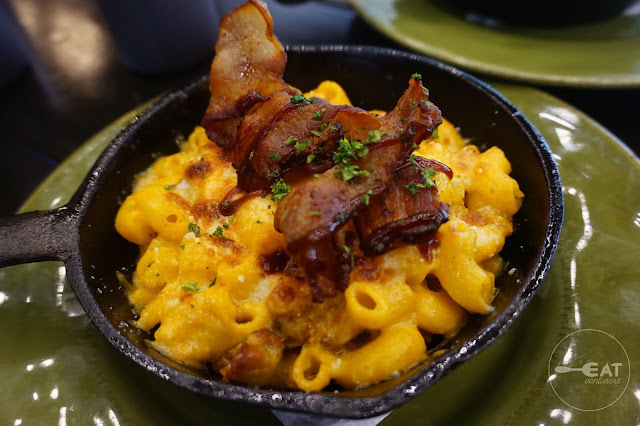 The Mac and Cheese had cheddar and mozzarella rendered in bacon fat, while Hot Mess is a dish of layered mashed potatoes, cheddar cheese, pulled pork, and bacon. Both were also not salty despite the presence of cheese and bacon. 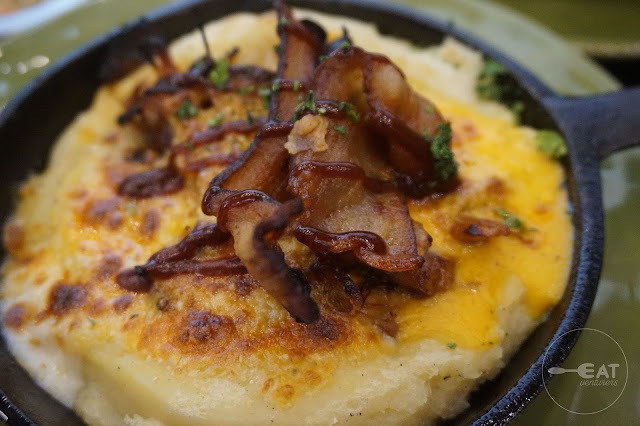 We loved Hot Mess better because the mac and cheese is not as tasty as we expected it to be. Like the two sides with bacon, we also ordered a dessert that’s topped with bacon. 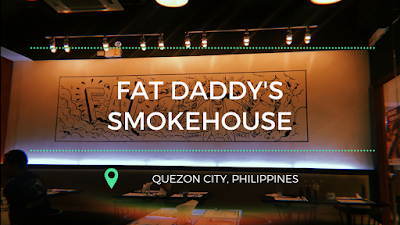 We ordered Fat Daddy’s best-selling Bacon and S’mores dip (P250). The Bacon and S’mores dip was served hot. It is a semi-sweet chocolate ganache mixed with smoked bacon bits and layered with melted marshmallows with graham crackers. 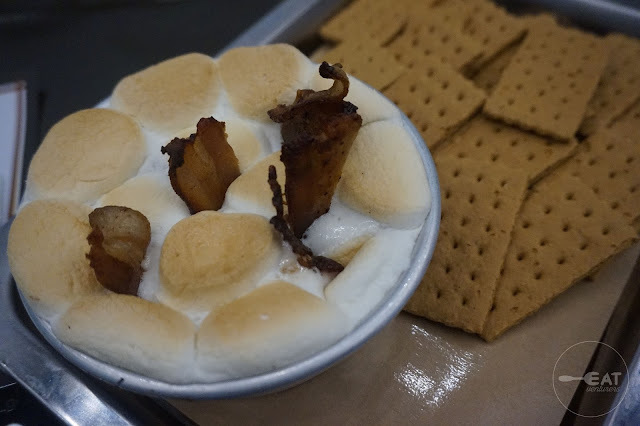 We may have raised eyebrows on bacon and s’mores going together, but it is actually good. The Eatventurers also ordered Pecan Pie and Peach Cobbler both P250. We find these expensive because they are both for a single serving only but the taste make up for their prices. 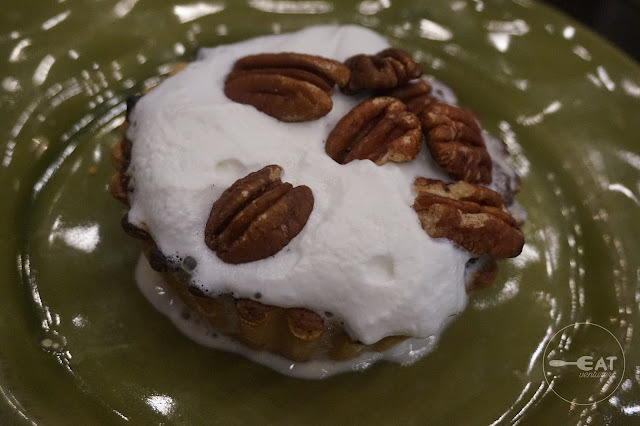 The Pecan Pie was described as buttery pastry crusted pie filled with mixture of egg yolk, brown sugar, and chopped pecans baked to perfection and topped with roasted pecans. We learned that pecan is rarely available. 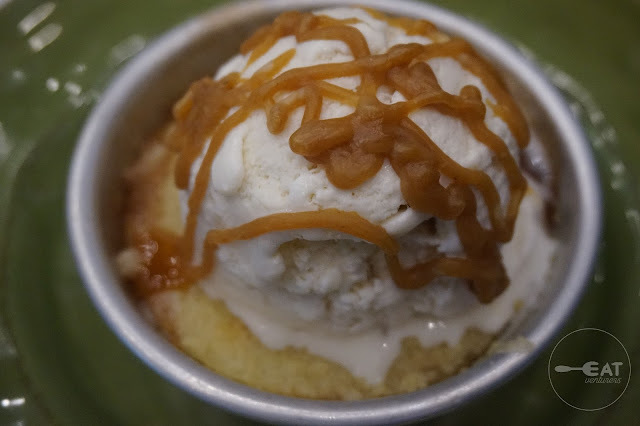 Peach Cobbler, on the other hand, was described as baked peach slices with streusel, topped with a scoop of homemade vanilla ice cream drizzled with caramel sauce. Both desserts we tried were beautifully served and perfect tasting—not too sweet we must say both tastes distinct. Pecan Pie is truly a must try. 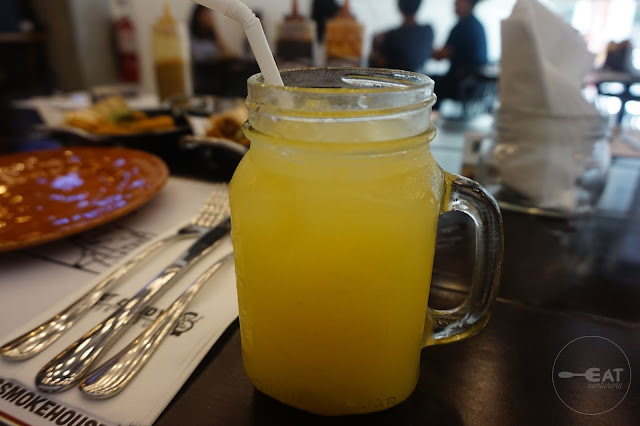 Finally, for drinks, we only tried their lemonade (P150) served with real bits of lemonade in a mason jar. It isn't different from the usual lemonade though. 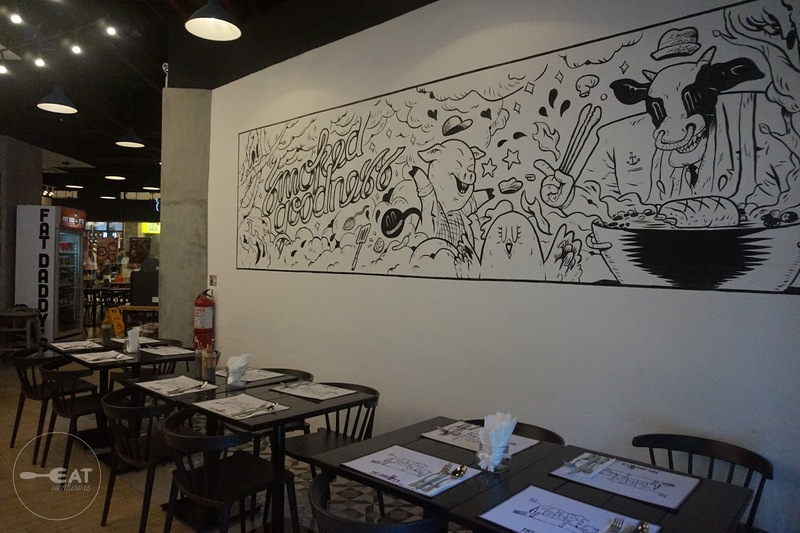 The Eatventurers recommend most dishes as all are worth the price and good for sharing. The service of Fat Daddy was also fast, around ten to 20 minutes maximum. We can say that the place is budget and family-friendly because of the food and its quality. 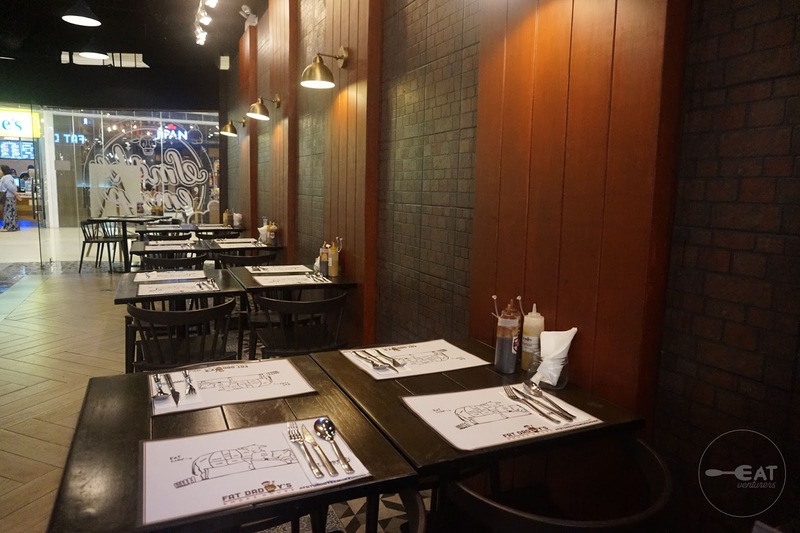 They have 80 seats available for their customers and you can enjoy the murals and Chicago-style interior designs. Table booking is not allowed though. Most customers are yuppies, students and mall-goers but no alcohol is available. And it’s also not hard to find since it’s near the entrance of UP Town. 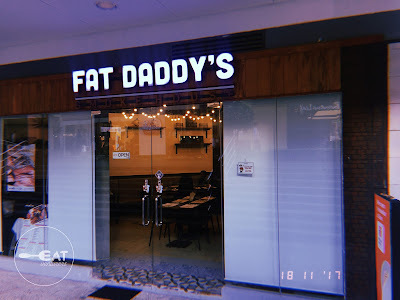 Fat Daddy’s UP Town branch opened just last August but it is already making a name in Katipunan and we don't see a reason why you should not try it. Operating Hours: 11 a.m. to 9:00 p.m. PREVIOUSLY: Review of Exile on Main St. Fat daddy the name itself says about the taste. Means the taste will force you to eat more and in result you can be fat. But i cannot resist of eating such delicious food just because of weight.